Solid 14k white gold statement ring for women. Fantastic alternative natural diamond engagement ring. Great Cocktail ring. Fabulous 14k solid white gold and natural diamonds ring for women. This gorgeous bold statement ring can be a great choice for an alternative engagement ring, a cocktail ring for your next big party, or magnificent addition to your existing jewelry collection. 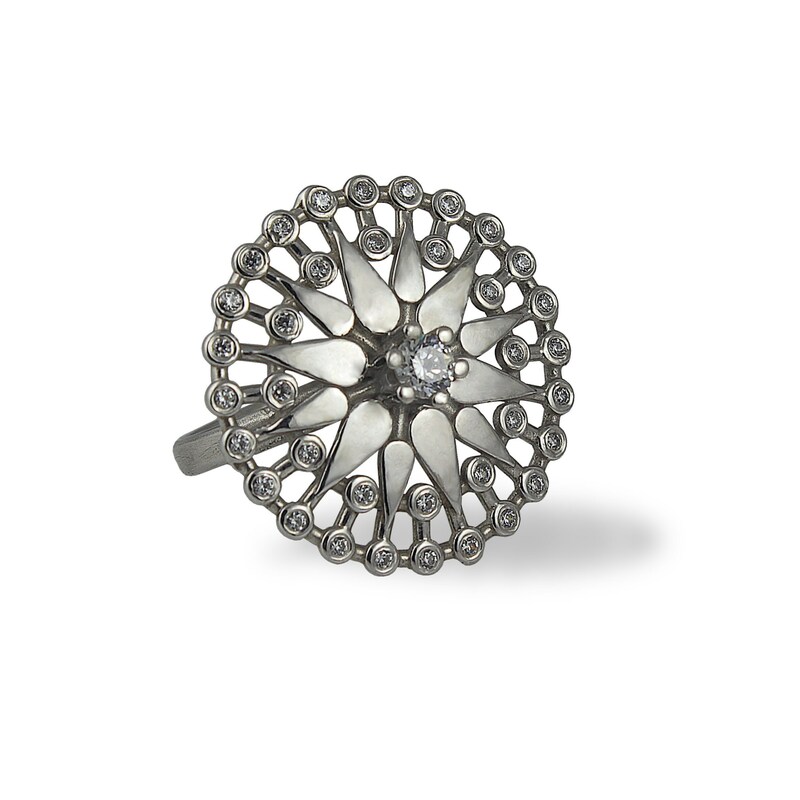 This ring is made with fine recycled 14k solid white gold, 36 natural diamonds paved all around the main flower shape. In the center. there is a stunning one larger natural diamond for an impressive affect. The inner part of the ring is smooth thus comfortable to wear. Our unique original design will be an amazing timeless and unforgettable gift for your loved one. ♦ Ring sizes available : Please choose your preferable ring size from the drop down menu during checkout. ♦ 14k Solid white gold. ♦ Width of ring: 7.7 mm / 0.303". ♦ Thickness of ring: 1.4 mm / 0.055".